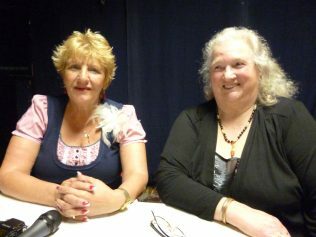 Gloria and Josie talk about the Barton fair and how much they enjoyed the various rides and stalls. The ladies talk about the Barton and Tredworth community and how everyone was encouraged to help each other. One of the ladies talks about her grandmother and how she started her own sweet shop. Teaching dancing to young men using brooms as dance partners! The ladies talk about how they used to walk everywhere. Gloria and Josie talk about their experiences of life in the Barton and Tredworth area. They recall fond memories of Fairs and stalls, youth clubs and dancing but at the same time, also remember how hard life was and how they used to walk absolutely everywhere – sometimes a few miles because bicycles were too expensive. One of the ladies recalls how they used to borrow their sisters bicycle if they ran errands for them as payment until they could afford to buy their own. One of the women remembers her Mother; a business woman at the time who used to help the elderly with their groceries. 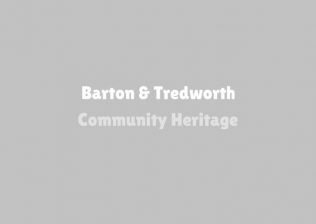 She continues to inform us that during that time everyone in the Barton and Tredworth community was encouraged to help on another and that people in the area were particularly poor so they used to do various chores and be paid in cabbages or a bag of potatoes instead of money. The other women recalls how their Grandmother started her own business by making her own toffee and selling it on her own doorstep until she had enough money to start her own sweet shop; which interestingly began in a shed full of motor bikes before she had a proper shop of her own!